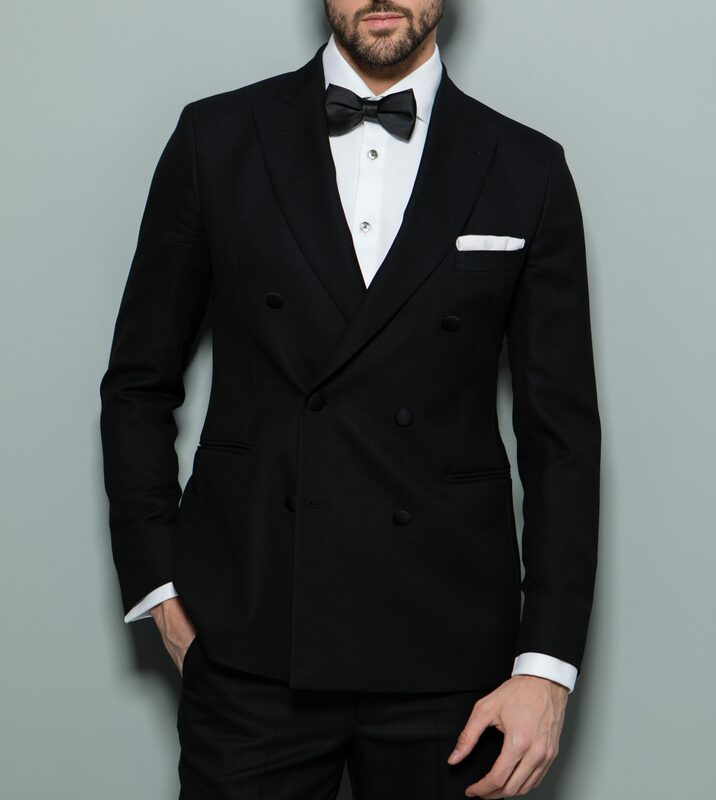 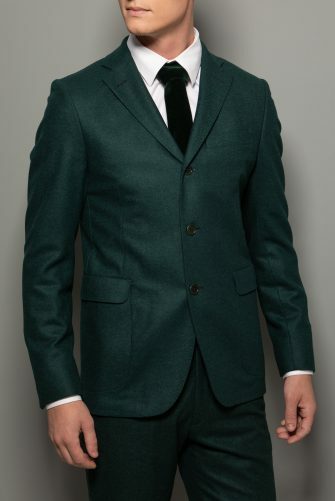 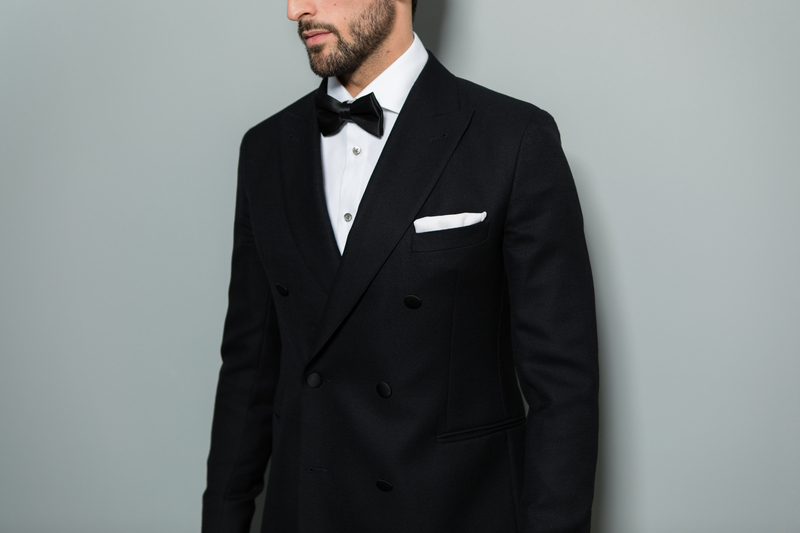 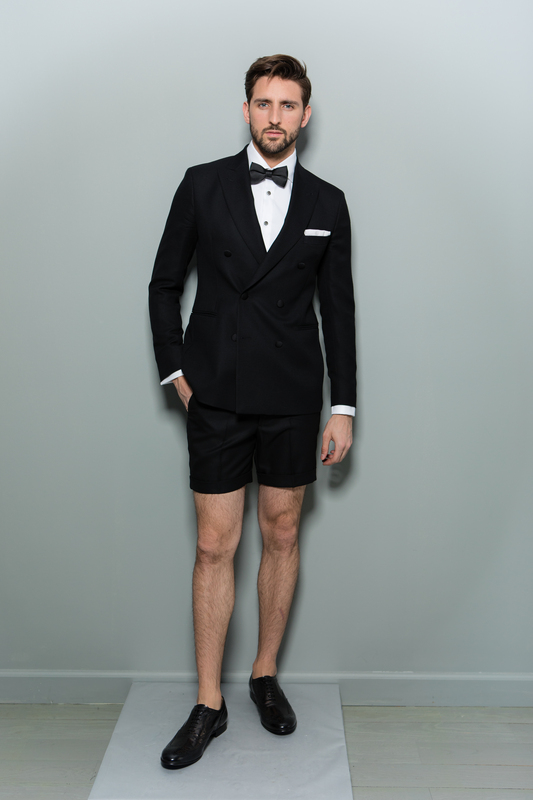 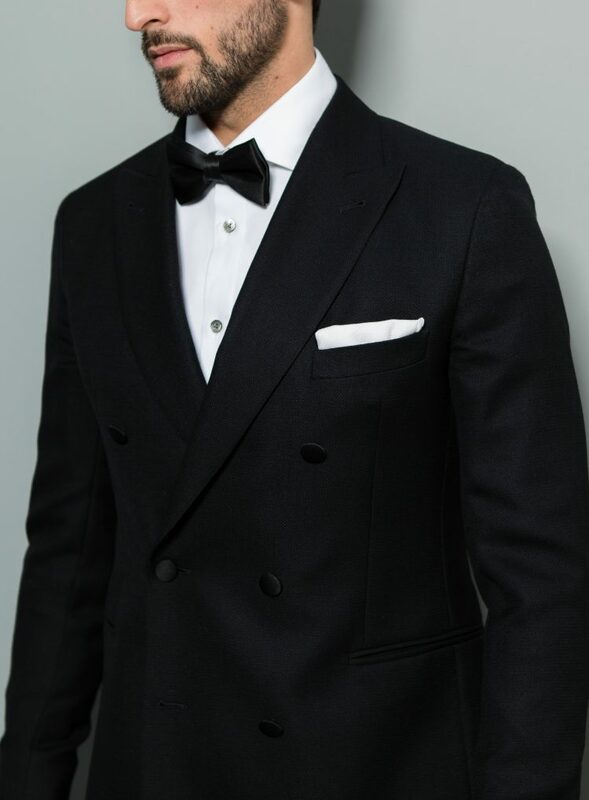 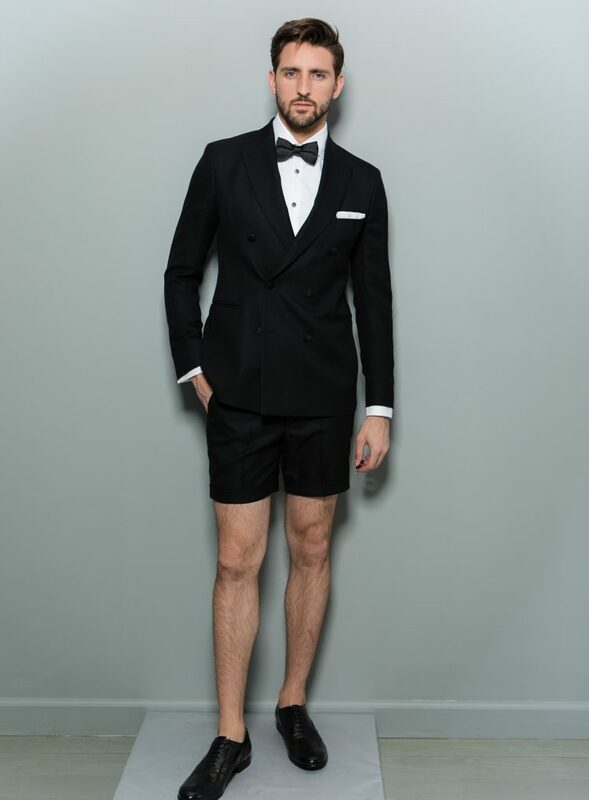 The Gert 56 is the ideal tuxedo blazer for any black tie or a special night out. 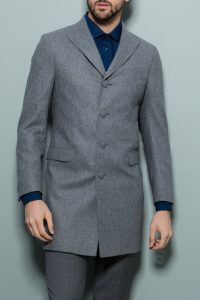 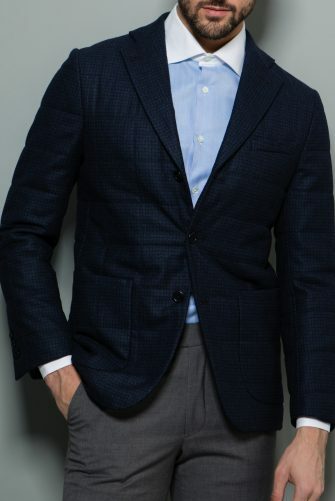 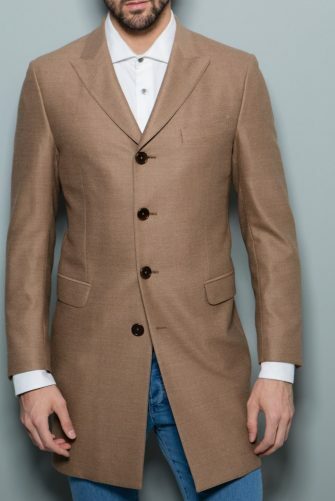 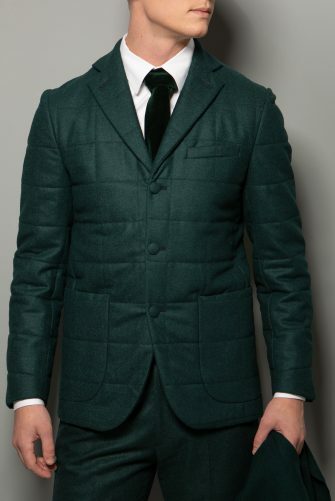 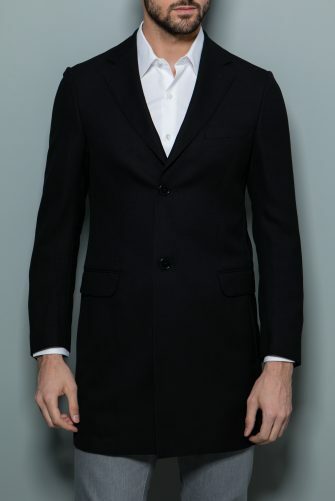 The double breasted, half lined blazer creates an eloquent fit. 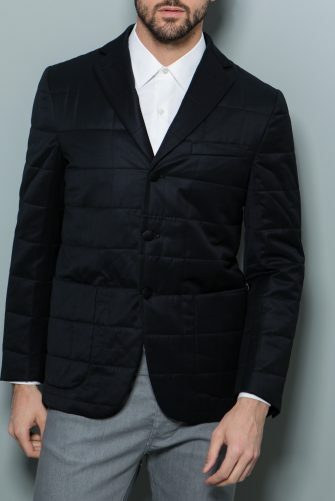 The black silk buttons bring the luxury feeling to completion. 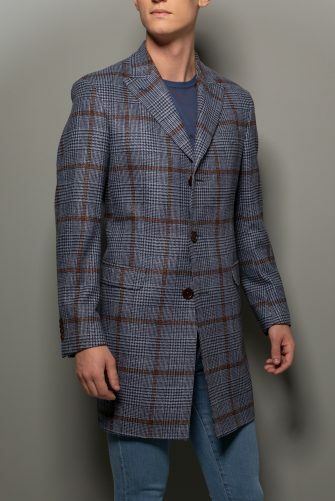 For added flair, we added in a Stephen F royal blue under collar.